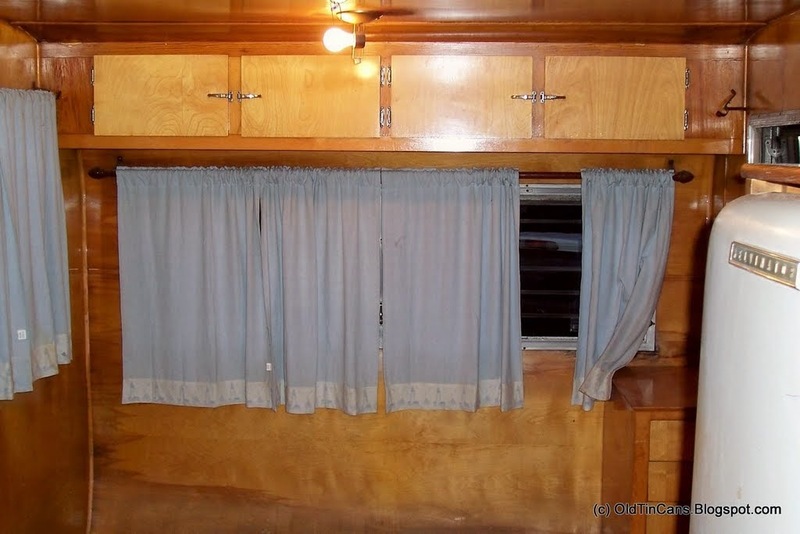 The interior wood, as found. 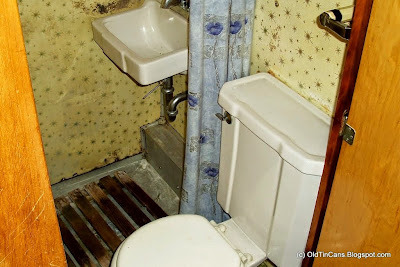 Original Bathroom, needs some repairs. Porcelain toilet and sink - Love it. 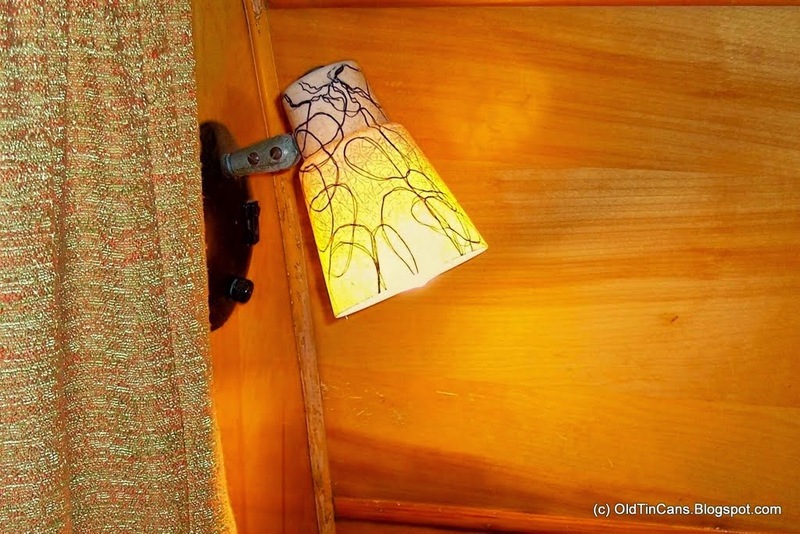 Original fiberglass retro lamp shade and light. 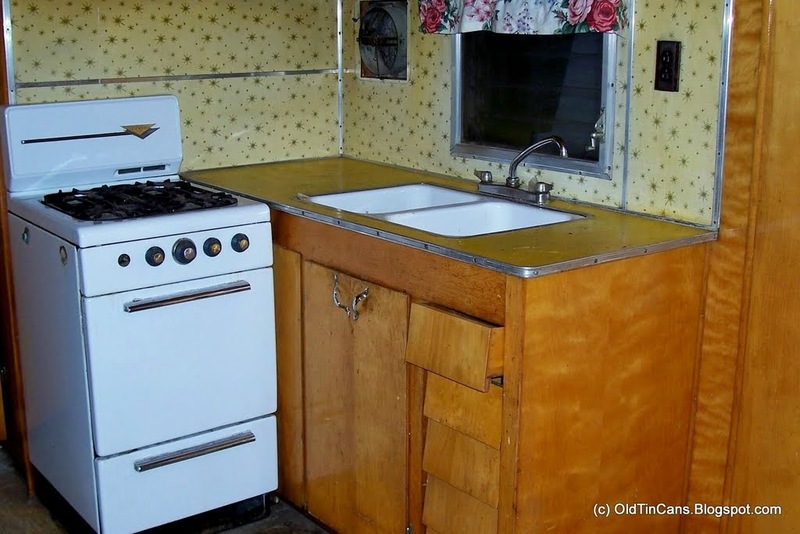 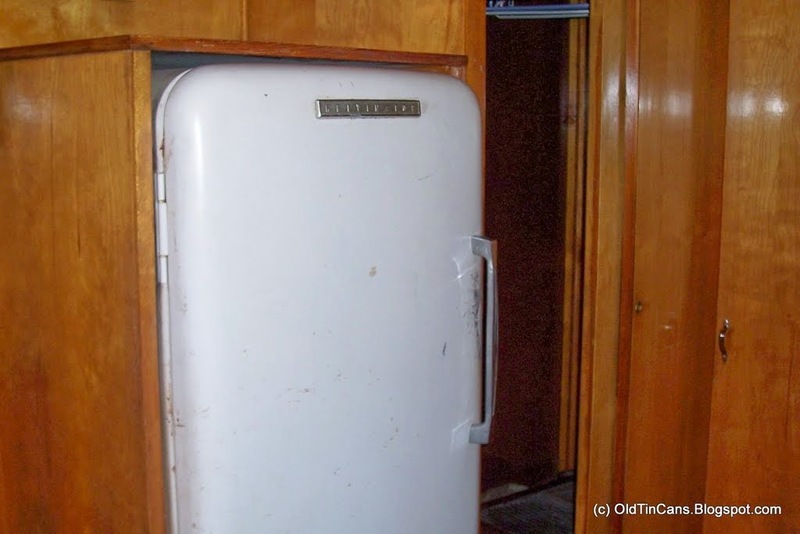 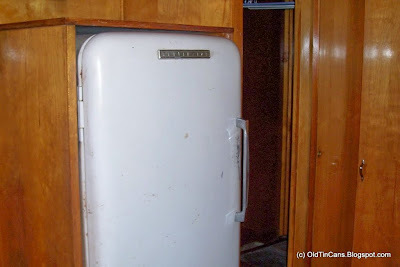 The appliances in these old trailer "homes" are so charming! Notes: The Pathfinder was not refurbished by us - we had too many projects at the time, and decided to take a pass. I still regret it, the interior and body were so darned straight! 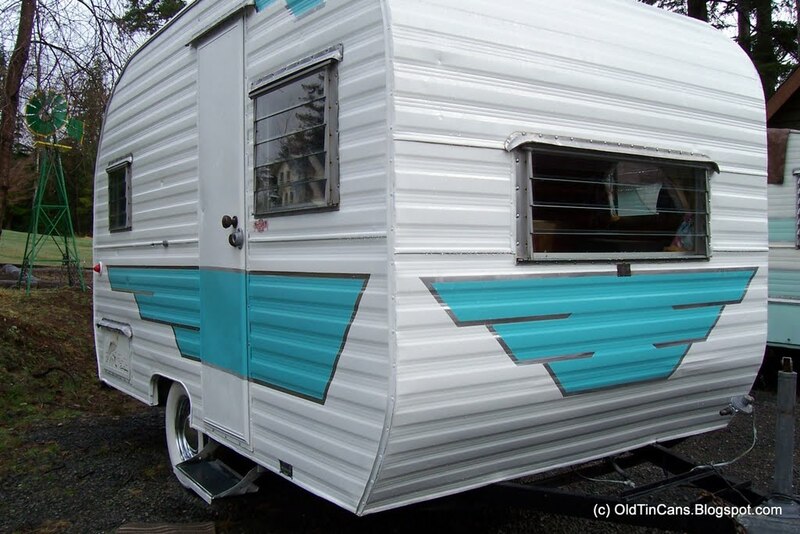 Our loss was someone elses total gain...The Pathfinder now Resides in Eastern Washington. 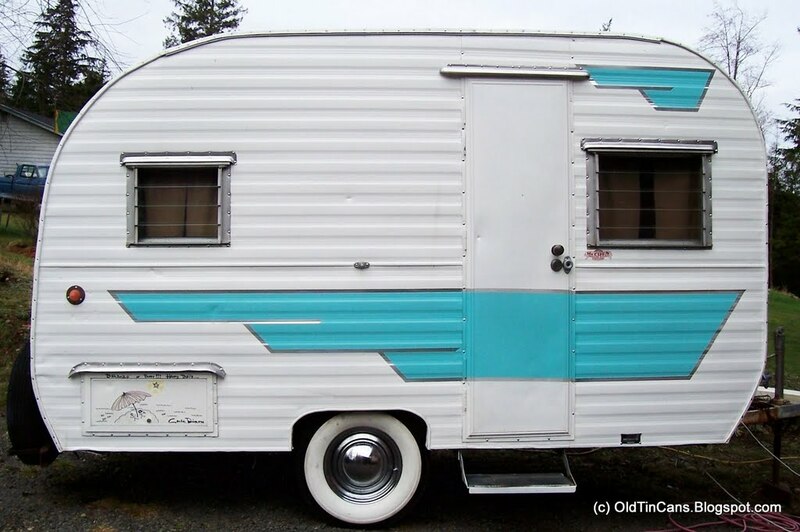 The Couple Who Purchased it are starting a Vintage Trailer / Cabin Retreat near Lake Roosevelt. 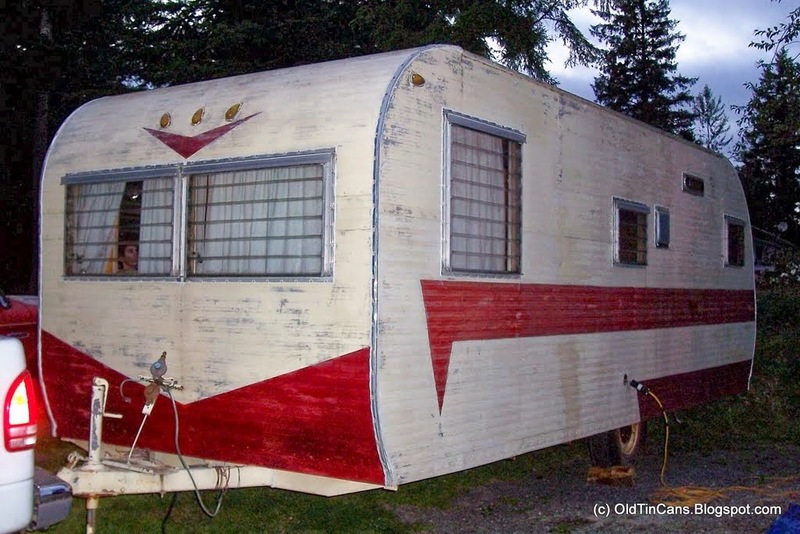 The Adirondack is similar to the vintage Metzendorf travel trailer in profile. 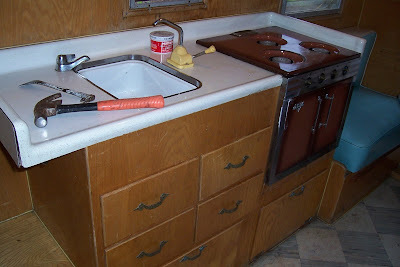 This one is a work in progress - and has become nearly a complete rebuild. Other than the very solid and overbuilt drop down floor almost everything structural on this specific little trailer has been redone or reworked by a team of three - Me, Myself, and I. 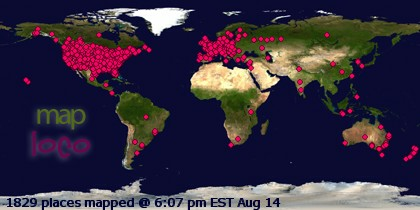 Girl Power - it's a wonderful thing. 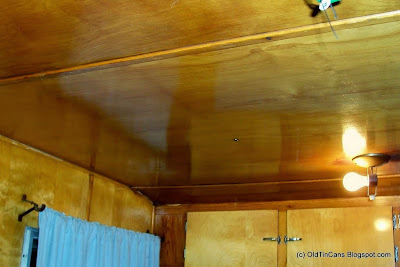 Work Completed: New plywood walls and sub-floor as in the original, new roof joists, and the aluminum skins are back on. 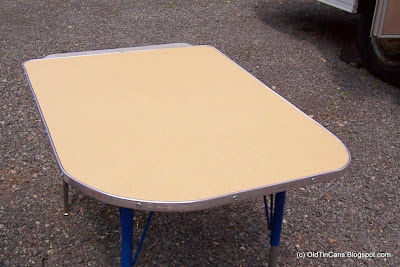 I have also made and installed new plywood seating front and rear and made a unique counter top and storage from a large old aluminum suitcase. Still Needed: New birch interior wood installed on walls, seats, and cabinets. 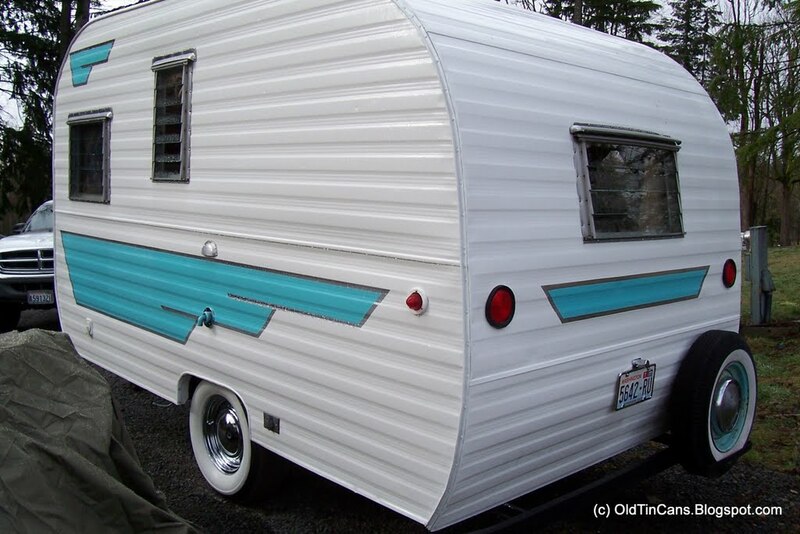 Roof reinstalled. Sanding and Exterior paint. "New Old Stock" 9" Asphalt Floor Tiles I have been saving for this trailer also need to be installed, and a few various other knick knacks like curtains, bedding, cushions, etc....to be updated as it happens! 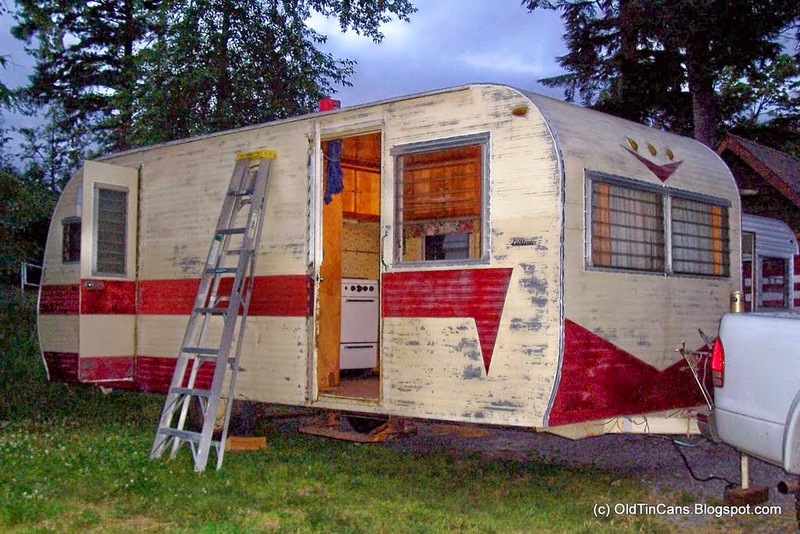 Sept. 30 - Roof is on - Body Paint is on. Now to get the windows done and installed. Need to get it water tight before the rains hit. 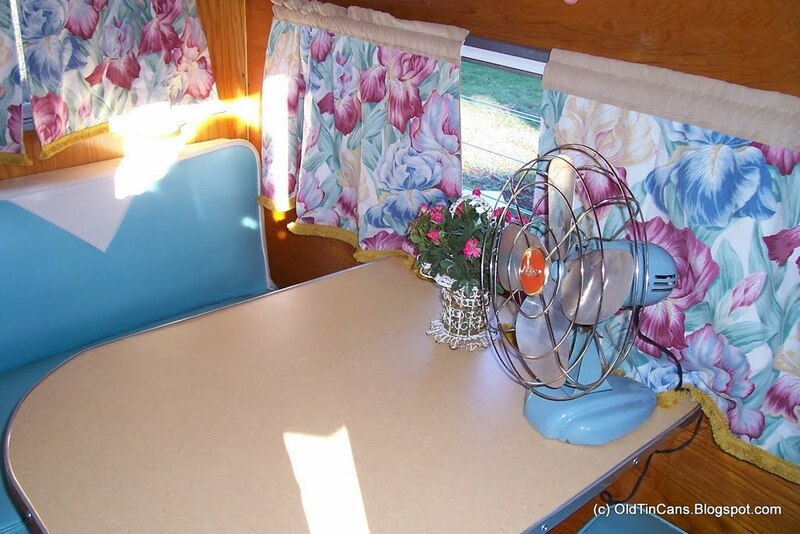 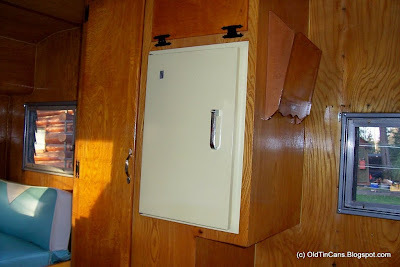 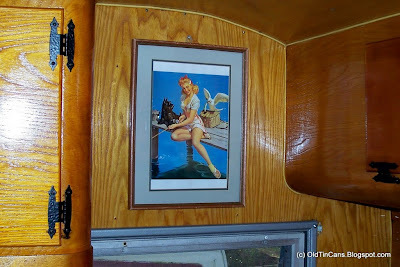 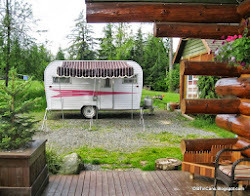 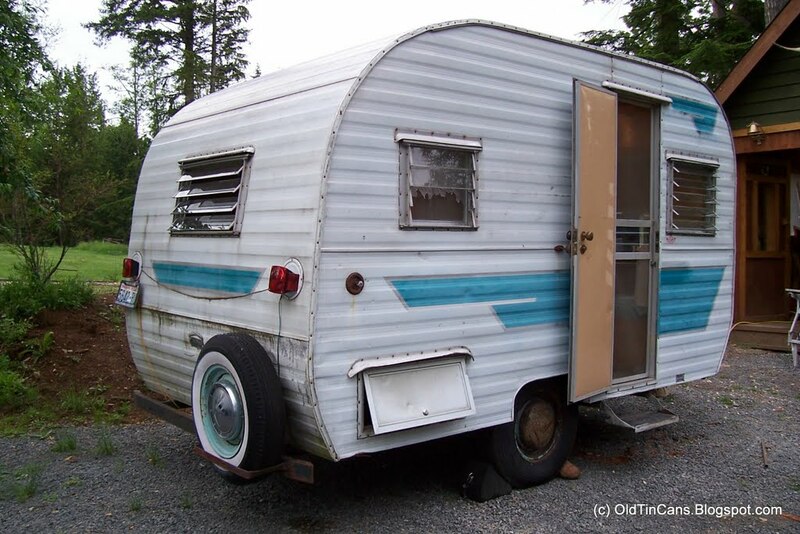 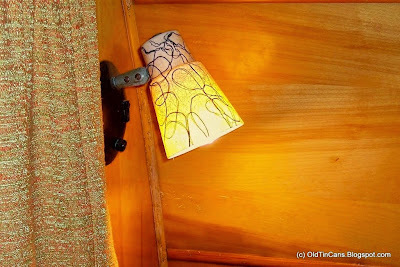 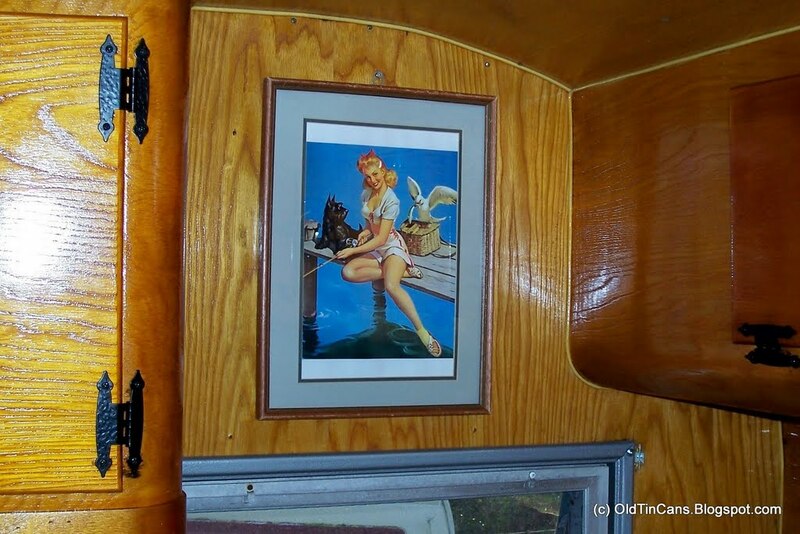 To see a completed trailer with a wood interior, view the last one I have posted - a 1957 Cardinal - the interior turned out exceptionally pretty - There is nothing like the old birch wood interiors - they really glow. Putting the Aluminum Siding Back On - Yeah! 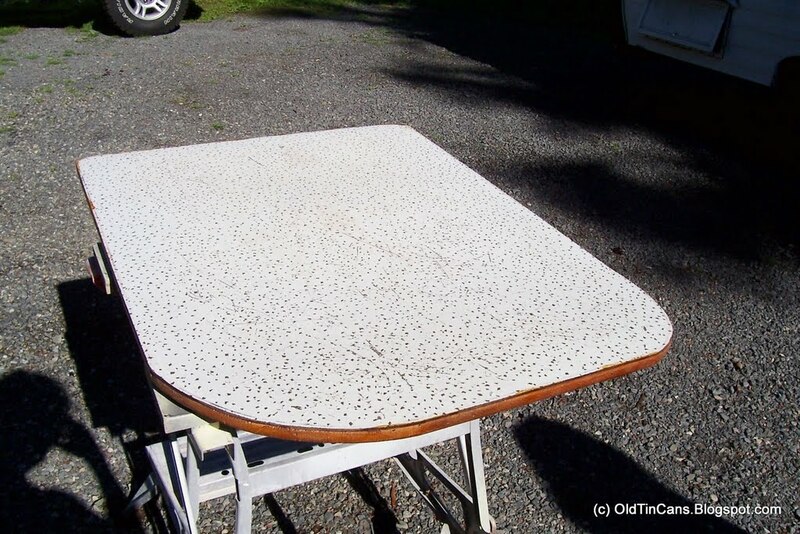 New Old Stock 9" Asphalt Tiles for the Floor - Sweet Deal From Craigs List! 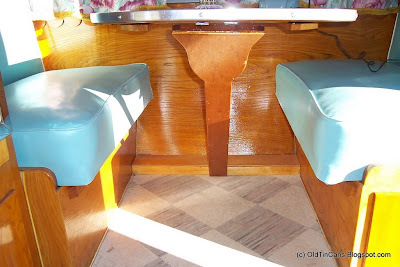 The original dinette table was too beat up to keep. 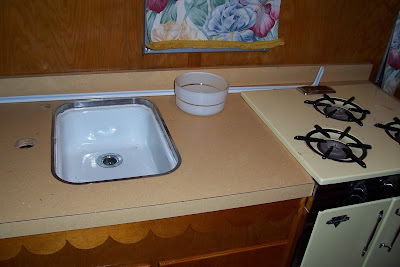 New Laminate installed on table. 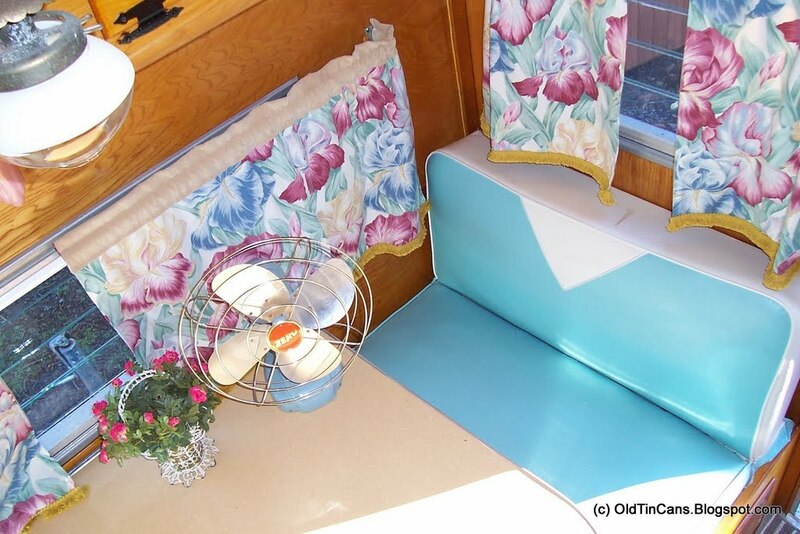 Table installed, with the original turquoise vinyl dinette seats & new tropical print curtains. After: New Laminate Kitchen Counter in same laminate as the dinette table. 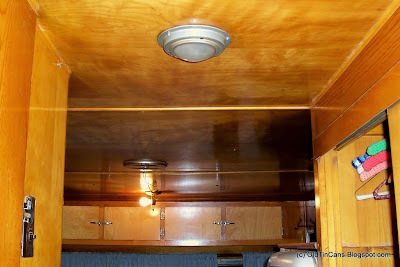 Scalloped "gingerbread" woodwork installed at edge beneath counter top. 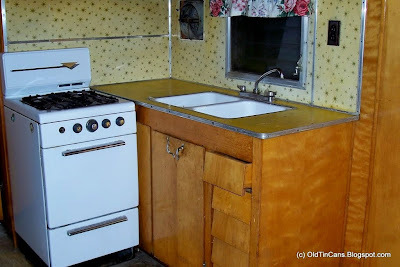 The floor tiles are original to the trailer. New Paint on Exterior, Coker Whitewalls and Baby Moons.